Children’s emotional health and wellbeing has a huge impact on their ability to learn. One in ten children and young people aged 5 to 16 have a clinically diagnosed mental health disorder and around one in seven has less severe problems. A whole-school approach is vital to improving children’s emotional health and wellbeing, helping to keep them safe, improve behaviour and raise achievement. Our objective is to provide a whole school approach for ensuring that mental health and wellbeing becomes central to the way schools work, in providing resources and educational programs to enable pupils to become emotionally-resilient and mentally healthy. Our mental health delivery helps schools to promote positive mental health in their pupils and identify and address those with less severe problems at an early stage and build their resilience. 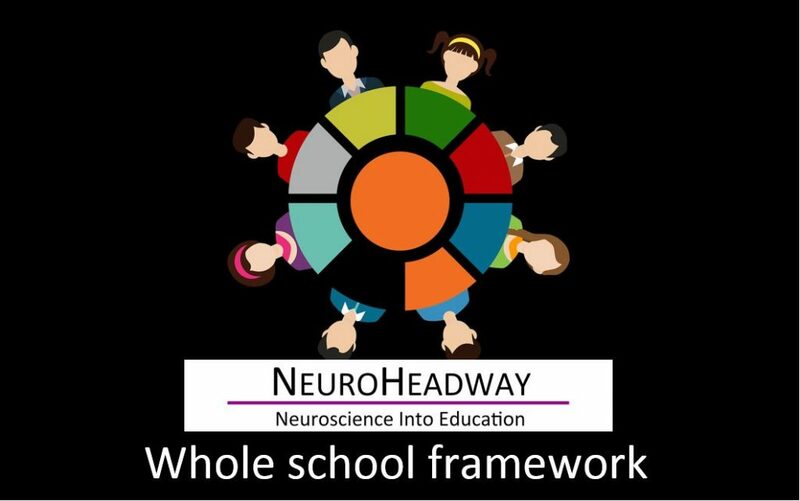 In order to help their pupils succeed, NeuroHeadway offers a role to play in supporting them to be resilient and mentally healthy. This service also helps schools identify and support pupils with more severe needs and help them make appropriate referrals to specialist agencies such as: Child and Adolescent Mental Health Services (CAMHS), where necessary. Where chronic problems occur, our practitioner or psychologist will be able to advice you with and additional support elsewhere, including from medical professionals working in specialist Child and Adolescent Mental Health Services (CAMHS), voluntary organisations and local GPs. In-depth profiling for individual pupils needing one-to-one support and preparing targeted action plans for the individual. This also involves monitoring individual pupils’ progress. Profiling a class against age-related expectations and identifying children needing additional one-to-one support through individual profiling, whose needs might have gone unnoticed during the school year. Preparing for new emotional development and monitoring class and group progress. For pupils with pre-existing wellbeing conditions, we are offering the Healthy minds package. These are usually delivered in smaller groups to enable a more targeted support. There are a variety of different resources we offer to schools, equipping them with the tools to cope with the stresses of growing up. Emotional health and wellbeing is a very varied and complex area and there are no quick fix solutions. Maintaining every day, regular routines wherever possible, such as, attending school and lessons, whilst working towards managing mental health, is key. Schools often utilise our resources through a lesson-a-week structured program, which connects the pieces of personal, social and health education, emotional literacy, social skills and spiritual development. These resources are created around pupils expressing their feelings, building their confidence and emotional resilience and therefore their capacity to learn.